One of the most essential forms of protective equipment that is paramount for use in the oil and gas industry is flame resistant (FR) clothing. It typically serves as a last line of defence to end users in case of flash fires and disasters. Due to the prominence and nature of the sectors in which this PPE is commonly utilised, it is important to understand the features and origins of both FR PPE and flash fires. Historically, flash fire hazards have been viewed as fairly rare incidents, such that workers in the affected area would attempt to escape to avoid life-threatening and devastating injuries. In most cases the presence of multiple explosive conditions in a flash fire incident, such as hazardous chemicals, toxic fumes and/or gases have complicated protective clothing and equipment strategies that could not curb fires when they occurred. After a number of very serious incidents involving the ignition of conventional work clothing that resulted in multiple burn injuries and fatalities, the petroleum, petrochemical and chemical industries began to broadly adopt FR clothing in order to increase worker survival in the event of an industrial flash fire incident. These adoptions involved the use of FR coveralls, shirts and trousers by all employees and contractors that are exposed to flash fire hazards on specific industrial sites. This has provided workers with escape time, reduction in body burn injury levels and increased the chance of surviving a flash fire incident. In March 2010 the Occupational Safety and Health Administration (OSHA) introduced a new regulation stating that FR clothing is required for all oil and gas industries where flash fire and electric flash hazards are or may be present in abundance. This constitutes a serious problem for the oil and gas industry and its associates. The interpretation is that employees are required to make use of FR for any kind of work that will put them in close proximity to any form of petroleum or natural gas production with automatic potential for flash fires, with very devastating and life threatening results. This new regulation caused many in the oil and gas industry to purchase any FR clothing that was immediately available, often choosing the lowest priced or seeking what contractors submitted as the lowest price. This proved a costly error in more ways than one. A lot of end users did not consider the composition of the product and did not procure a fit for purpose product, which could lead to catastrophic conditions. This article will discuss the various types of FR workwear available and suggest some protective clothing standards to preserve the materials and eventually protect the end users. What we often found was employers procuring the wrong FR clothing and not considering the specific protection requirements for the type of activities conducted by the workers. In addition to this, some workers then refused to wear the PPE provided by their employers. The following case study outlines injuries sustained when people do not wear, when needed, FR clothing. Many severe injuries have been reported in oil and gas industries involving people that did not wear FR clothing despite the hazardous nature of the business. One example was a flash fire at the degasser line flare pit that injured a worker. This happened when a worker was flowing well-gas through a choke with the annular closed, shut in drill pipe at pressure 350kpa. 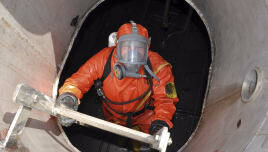 The fire in the container positioned under the degasser line was found extinguished. The rig stopped pumping and the valves were closed to shut in the well. The operations team lead instructed the worker to go to the end of the degasser line at the flare pit to reignite the content of the container. The worker attempted to light the content in the container with his personal cigarette lighter and this resulted in a flash fire from the spark of the lighter, igniting the methane gas venting from the opening at the end of the line. Consequently, the worker was seriously injured, with second degree burns to his hands and face. The injured worker was not wearing his fire-retardant coveralls correctly prior to the attempted ignition – in fact he had his sleeves rolled up to the elbows. One of the significant corrective actions to the company is to train all personnel on a gas detection device and proper use and maintenance of fire-retardant coveralls. Flame retardant clothing has now become an important component of safety as many national and international organisations have developed clear standards for fire resistance. The Occupational Safety and Health Act of 1970, Section 5(a)(1) mentioned that all PPE in use must be suitable for the task being performed. This was the only guidance provided until late 2000, when the Canadian General Standard Board issued a Recommended Practice - Workwear for Protection Against Flash Fire Guide, and the National Fire Protection Association (NFPA) issued standards on flame resistant clothing for the protection of workers in industries against flash fire (NFPA 2112). The table below shows the overview of the NFPA standards and requirements. In addition, all the clothing labelling, durability and design requirements, as well as third party verification strategies, are included in NFPA 2113, the standard on selection, care and maintenance of the flame resistant clothing for the protection of workers in the industries against flash fire. The NFPA 2112 standard, however, is more comprehensive in its requirements and is the first protective standard in the world to stipulate that all FR clothing systems must be tested in a simulated flash fire exposure with the use of an instrumented manikin. Apart from the fact that fire resistance has become a legal requirement, any non compliance may lead to sanctions, making an understanding of the basic need for, purpose of and correct use of FR clothing very important. From 2010 to 2011 more than 3,000 burn related injuries were reported in the workplace; three of these were fatal incidents. If employees work in a potentially hazardous environment where heat or flame hazards are present, it is the responsibility of the employer to ensure that workers are protected adequately. FR clothing can significantly reduce burn injuries and save lives in the event of an unavoidable accident. Many FR clothing related injuries due to heat sources or direct contact with flames occur each year. Most of the burns are not as a result of the original physical hazard, but are rather a secondary result of the clothing burning. In workplaces, the most severe burns are caused by workwear igniting and burning the skin. FR clothing reduces the flammability of materials by either physically blocking the fire and its effect or by initiating a chemical reaction that could stop the fire. It does not ignite and continue to burn, as it has the ability to self-extinguish, or fail to continue to burn, after the heat source or flame has been removed. FR clothing dramatically reduces the severity of burn injuries, which can mean the difference between life and death. Flash fires rarely occur, but it’s imperative that employers and employees are prepared should an incident occur. Many things happen in a flash fire without the protection of suitable workwear. The worker is exposed to the fire’s heat as well as the heat from their burning clothing. The overall heat generated by the fabric that is burning will depend on the composition of the materials: treated or non-treated, weight and weave of the cloth, clean or soiled with hydrocarbons. According to OSHA, the use of flame resistant clothing greatly improves the probability of a worker surviving and continuing with a high quality of life after a flash fire. Flame resistant clothing has the ability to significantly reduce the extent and severity of burn injuries to the body, protecting against flash fires in two ways. First of all, fire resistant workwear is designed not to burn when exposed to flame. This provides adequate protection for the worker by eradicating or decreasing the level of injury when clothing burns after exposure to flash fire. Secondly, FR workwear is designed to reduce the amount of heat that goes into the skin during a flash fire. The fabric serves as a barrier between the flash fire and skin of the worker by reducing the level of energy transmitted onto the skin, thus providing further protection to the worker. In this case, the thicker the fabric used in making the fire resistant workwear, the greater the level of protection for the workers. Therefore, it’s good to consider the type of clothing required for work with potential for fire, as the workwear has the possibility to extremely boost or cut the associated hazard. There are many common mistakes when it comes to fire resistant clothing. Many believe that all FR garments are, essentially, interchangeable. This is not always the case. When it comes to FR clothing, there are many aspects that must be closely examined before the purchase decision can be made. Since FR clothing for oil and gas workers has become a rule rather than an exception, one may be faced with a confusing array of clothing and fabric choices. Before any decisions can be made, it’s important to determine the fabrics and clothing that are in compliance with your needs. This requires an understanding of what compliance means and what the performance specifications are, including how they are determined. Everybody agrees that work injuries affect a business’ profitability and increase costs due to absence, re-hiring, re-training and compensation. Statistics have shown that explosions and fires account for 3% of workplace injuries and have the highest fatality rate of all workplace incidents. There are four types of injuries commonly associated with fires and explosions, namely primary, secondary, tertiary and quaternary blast injuries. Primary blast injuries occur due to the effects of pressure on body tissues, affecting the ears and lungs. 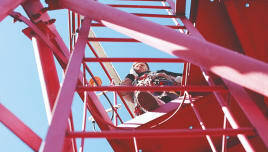 Secondary blast injuries occur when flying objects hit nearby workers. Tertiary blast injuries involve high energy explosions that can lift someone off the ground, causing them to fly into surrounding objects. Quaternary blast injuries involve everything else that happens as a result of an explosion. In the latter worker may encounter devastating injury or even death. Once you know the standards you are required to meet, it is important to know the differences between the good specifications related to the clothing you will provide for your employees. While it’s important to understand the good specifications of the clothing to be used, it is worthless until test methods used are known to determine whether fabrics meet these specifications. 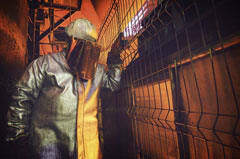 To meet NFPA 2112 standards regarding flame-resistant clothing for the protection of workers against flash fires, clothing must meet several test requirements. Aside from the vertical flame test, others include the thermal protective performance test, which determines the amount of thermal protection a fabric would give a wearer in the event of a flash fire. Thermal protective performance is the energy required causing the onset of second-degree burns when a person is wearing the fabric. The higher this is, the more protective the fabric. To meet the criteria of this standard, the fabric must possess a minimum thermal protective performance of six-inch spaced configuration and minimum of three-inch contact configuration. The heat resistance or thermal stability ensures that fabric will not melt and drop, separate or ignite if put in 500°F for five minutes. Thermal shrinkage resistance requirements mandate that fabric must have maximum of 10% reduction after being in the above mentioned oven for five minutes. Research conducted by various health and safety related professionals aims to ensure that correct protective clothing is available that can protect workers from flame and heat associated with fire. A roadmap is also prepared for procurement professionals to make the right decision in selecting and purchasing the right workwear that is fit for purpose at any point in time. The correct materials are available as we have manufacturers that are aware of the standards and requirements and articulate this in the development of their own products. Unfortunately, however, many industries do not procure appropriate PPE for their workers and sometimes the workers refuse to wear the PPE appropriately, primarily because the PPE is deemed uncomfortable. Awareness and training are key to eradicating this trend. Flash fire incidents usually occur across a broad range of exposure levels and so hazard analysis could be performed, predicting the exposure threat required to determine when a single layer clothing system will provide adequate protection and when a multi-layer clothing system will be needed. If the estimated exposure energy is significantly greater than specified by the NFPA 2112 minimum requirement of 6 cal/cm 2 , then multi-layer FR clothing will be required to minimise burn injuries. Flash fire instrumented manikin testing, according to the ASTM F1930 method, has enabled companies to address specific flash fire hazards more quantitatively. FR clothing systems can be tested over the range of potential flash fire exposures identified in a hazard analysis. This will facilitate the selection of a clothing system designed to match the exposure energy levels identified during the hazard analysis. This in turn will permit FR clothing systems to be selected to minimise the predicted body area burn injury for the probable worst case hazard scenario. When body area burn injury is minimised, victim survival is expected to be maintained at a high level. In addition, pain and suffering is reduced and preservation of the victim’s quality of life is significantly increased. The main benefit of FR clothing is the fact that it self extinguishes within few seconds after the ignition source is removed. More importantly, it will not add to the burn injury by continuing to burn on the wearer’s body like standard work clothing. FR clothing provides a thermal barrier that can be a designed layer system, either single or multiple, to minimise burn injuries to skin. The NFPA 2112 and thermal protective performance test methods are used to determine active performance of thermal insulation of fabrics. These methods expose the fabrics to a controlled beaming and convective radiant heat source. The resulting values indicate the relative degree of insulative performance provided by the FR fabric. The TPP values, however, do not provide a quantitative assessment regarding predicted burn injury. One of the key benefits offered by the NFPA 2112 standard is the instrumented thermal manikin testing methodology that was included. This provides a quantitative assessment of the predicted body area burn injury for specified exposure energy. The following guidelines will help maximise workers protection from the hazards of FR. The selection must be based on worst case exposure of the specified task, clothing must be fit for purpose and comfortable, and sleeve cuffs should be fully extended and secured. Although FR clothing may initially cost more than normal workwear, FR fabrics can also be more durable and long lasting. It can be an investment that saves money in the long term. The cost of a serious burn injury will include not only the physical damage, but also treatment of victims for physiological damages. Direct costs include medical bills, prolonged recovery and rehabilitation, potential disability, and job re-training. Indirect costs include compensation, lost work time, increased insurance premiums and potential liability. It is not only the injured person who suffers. It’s worthwhile investing in clothing to ultimately save lives. The newly published standards will assist in providing workers in industries with protective FR clothing systems that are designed to minimise burn injury and provide high survival rates. It is important to estimate expected flash fire threats by applying hazard analysis in the workplace. It is also important to assess FR clothing over a range of exposure levels, beyond the NFPA 2112 requirements, since some types of FR clothing exhibit sharp increases in body area burn injury for modest increases in exposure level. This is critical since flash fire incidents are uncontrolled events that can occur over a broad range of exposure levels. FR clothing systems can be designed to minimise body area burn injury over a large array of exposure levels. When body area burn injury is reduced, the survival rate for the burn victim will be increased. Mohammed Abdul Karim (GradIOSH, MIIRSM, MAIChE, IRCA Certified Safety Auditor, and MCSSE) is a safety expert with 15 years of experience in safety, health and environmental management and consulting to internationally recognised multinational oil and gas companies.